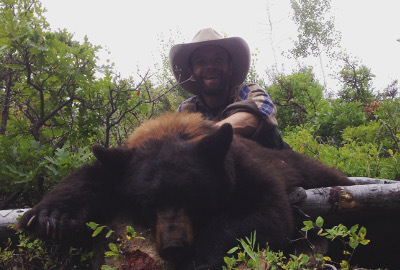 The September bear season is an easy to draw rifle tag. We provide guidance on acquiring the tag to all booked hunters. If you don’t apply before the deadline there is always leftover tags for purchase. Archery tags are over the counter. 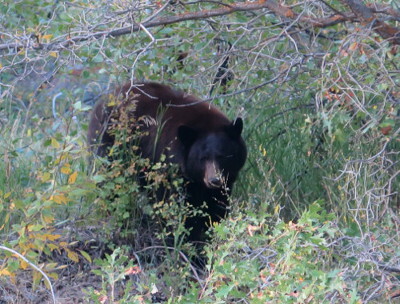 We have an abundant bear population that is accessible during September. On rifle hunts we average above 90% shot opportunity. Archery is around 60%. These hunts will take place at elevations between 8,500-11,500. This is a unique spot-and-stalk. Horseback riding, hiking or 4x4s will be used for transportation. Depending on preseason scouting and the hunter’s preferences, we may hunt from a wilderness camp or from our lodge.Details on our Lodge Accommodations. Details on our Camp Accommodations. This is typically a 1 guide to 1 hunter hunt. 3 meals a day and lodging. Pairs that would like to hunt together can opt for 2 hunters per guide at a reduced rate. This hunt is limited to 4 hunters total for each set of dates. This is a 3 day hunt. 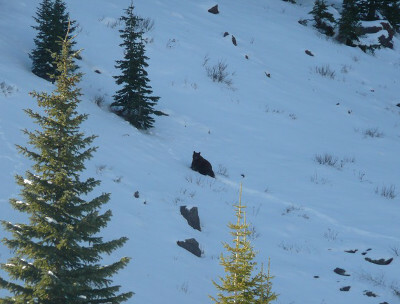 If you are looking for a Spring black bear hunt, consider our hunt offerings in British Columbia. These hunts are easier physically and occur in the off-season from almost all other hunting. The hunting area is easy to get to from any major US city. 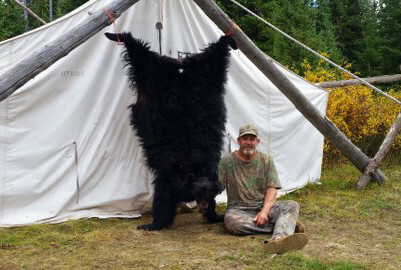 *All hunts include skinning and quartering of the bear. We do offer a rug add-on service that includes the fleshing, turning, salting of hide, and completed rug. We charge $210 per foot and shipping. Most bears will run a total of $800-$1,400. **We offer a euro skull add-on for $275 plus shipping. 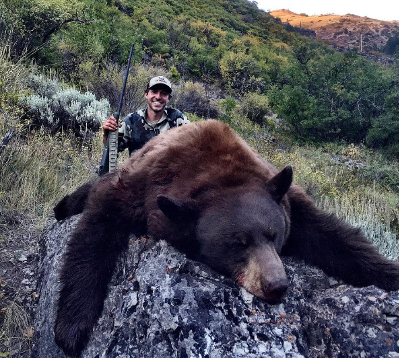 ***Non-resident bear licenses are $100 and are not included in the hunt price above.